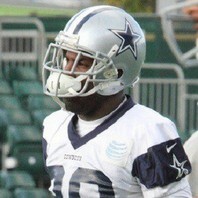 NFL running back who became the feature back for the Dallas Cowboys in 2011. He gained over 1,000 yards in back-to-back years for the Cowboys in 2013 and 2014, then in 2015, he signed with the Philadelphia Eagles. He was traded to the Tennessee Titans in 2016. How much is DeMarco Murray worth?